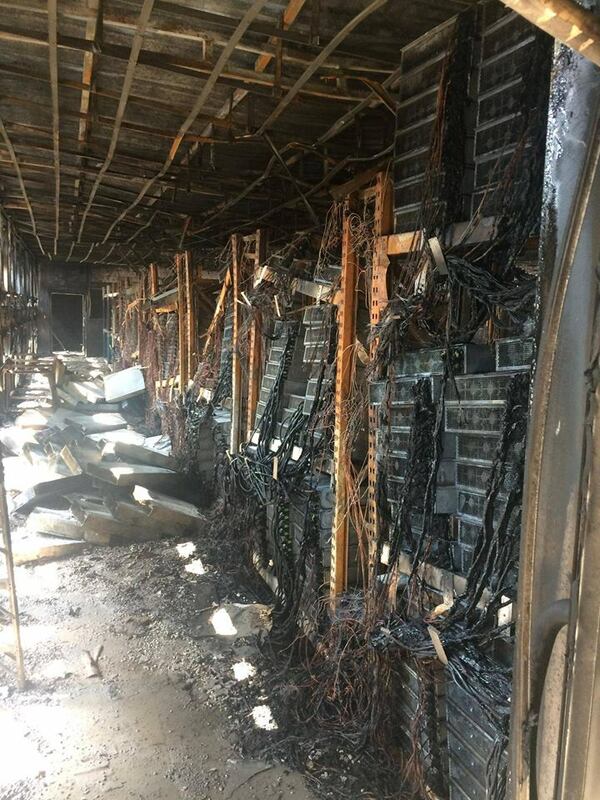 A Thai mining operation run by BitcoinTalk user CowboyMiner reportedly lost three data centers to fire. CowboyMiner posted a picture of the aftermath in a forum thread earlier today. Initial estimates of the hashing power lost were tallied at approximately 7 Petahashes. CowboyMiner debuted their business earlier this year on the BitcoinTalk forums. CowboyMiner was offering cloud based mining services to users for contracts lasting up to 6 months. The pricing was tiered between $179.99 per month and $149.99 a month depending on contract duration. Although price listings were in US dollars, the business only accepted Bitcoin as payment. These posts, which have now been deleted, were archived on bitcointa.lk. The original post announcing the business by CowboyMiner was dated May 31, 2014. Operations could have only existed for 5 months, thus none of the 6 month contracts could have been fulfilled. CowboyMiner has yet to release a statement to the public regarding the disaster. The fire is rumored to be an act of arson although no evidence has been brought forth to prove the accusation. This entry was posted in Asia, Mining. Bookmark the permalink. CowboyMiner has since deleted his posts referenced here from BitcoinTalk.